If you woke up too late today to celebrate Free Comic Book Day (FCBD) with free comics and celebrations at your local comic book shop, don't worry, you can still get some free comics. Free Comic Book Day is held the first Saturday of May and is celebrated differently from store to store; but the one thing that stays the same is that you can get free comics. While some stores, like Chicago Comics, told WalletPopMoney College writer Jennifer B. Larson that they will let patrons choose five to six comics from a selection of 30-40 titles to ensure that there are plenty of comics to go around, my local store runs out faster than The Flash when he beat Superman in a footrace. There's good news though. This year there are several places to get free digital comics and celebrate Free Comic Book Day from the comfort of your comic vault, or couch. In order to take advantage of most of these free digital comics you'll need an iPad, iPod Touch or iPhone but we did find a special edition digital comic from Blackline Comics that all comic book lovers can download for free. Blackline Comics is offering two free digital comics, which will only be available on Saturday May 1, as downloadable PDFs so that the comics can be read on practically any device. The two special editions are "Black Salt: The last Heroes Left Special Edition" and "Colonel Special Edition." Blackline is including a certificate of authenticity on these digital comics and will not allow any more downloads after May 1 in hopes that these special editions will be among the first digital collectibles in comic book history. For readers with an iPad, iPhone or iPod Touch; there are numerous free comics to be found inside the comic book apps and virtual comic book stores. Many of these are available all the time, and some are previews, but they are free comics and this is Free Comic Book Day. Marvel is one of the biggest names in comics and in digital comics thanks to its iPad and iPhone comic book reader apps. These free apps let you buy many Marvel comics for $1.99 but they also offer free digital editions of several titles such as Wolverine, Captain America, Hulk, The Amazing Spider-Man, Astonishing X-Men, the Fantastic Four, Runaways, New Avengers and Invincible Iron Man. In all there are currently 11 free comics from Marvel. 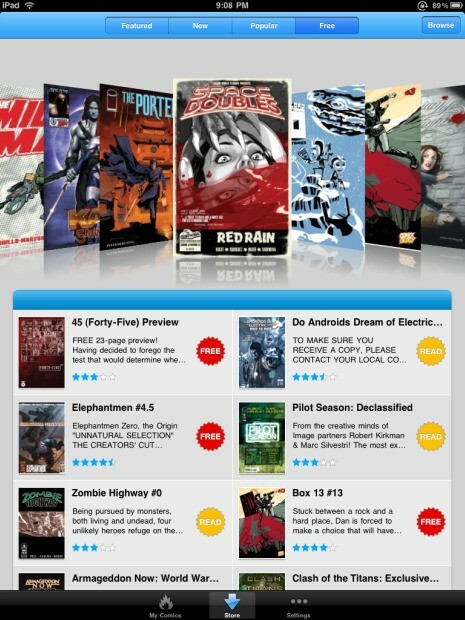 iVerse is another free comic reading app available for the iPad and iPhone that offers free comics. 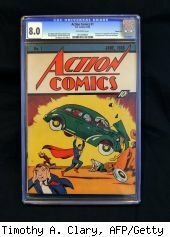 This app offers free comics like Proof, The Surrogates and Frank Frazetta's Death Dealer as well as well recognized comic labels such as Archie Comics, Image, Dabbel Brothers, IDW and more. In all there are about 60 free comics to check out in the iVerse App. The company website mentions an app for Google Android phones but we could not find it on the marketplace to verify free content. Comixology's Comics is the final free comic app, and in my opinion the best. This app is just as polished as the Marvel app but offers a much wider selection of comics both free and paid. This is a great place to head if you are looking for free graphics novels as you can get the first issue of many free like The Walking Dead #1 in addition to many free comics to count. Including issues from big names like Marvel, Icon and Image. Whether you go in the store or download your free comics we hope you enjoy Free Comic Book Day as much as we do!